“Data! Data! Data!” he cried impatiently. “I can’t make bricks without clay!” Sage words from Sir Arthur Conan Doyle, but how do they apply today? These days, entrepreneurs can decide whether to establish their business at a bricks-and-mortar location (like a storefront or commercial facility) or online (via their company website). A strong idea, like clay, is required to build any business, whether the bricks represent a storefront or an online platform. The latter can be a good choice for people itching to realize their entrepreneurial ambitions without paying high startup costs, hiring and training staff, or stocking shelves. There are merits to both approaches, but would-be entrepreneurs should understand that e-commerce involves more than setting up a website. There are plenty of trade- and tax-related regulations to adhere to, especially if you have customers outside of Canada. Before you join the many Albertans starting e-businesses, make sure you’ve got your e-ducks in a row. Here are a few things to consider. 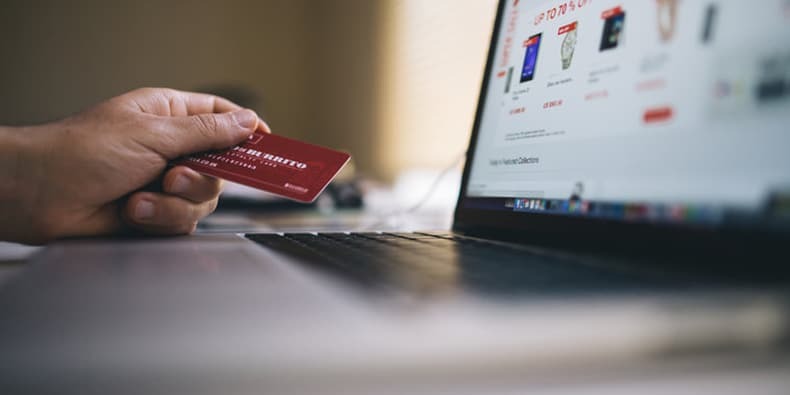 Before you begin selling online, it is important to know e-commerce businesses are subject to the provincial Internet Contract Sales Regulation, which is designed to protect consumers. The regulation sets out rules about the information a business must share with buyers, including product information, shipping details, methods of payment, and much more. You will also need to register your business with the province, whether you’re a sole proprietor operating under a trade name or an individual choosing to incorporate. The process is different for each business structure. Pro tip: Before you register your business name, make sure you can purchase a domain name that matches. It’s important that you can use the name both on- and off-line. As an entrepreneur entering the e-commerce world, it is important to remember that selling online will not exempt you from your responsibility to charge sales tax. Both on- and off-line businesses are subject to the same taxation rules governing provincial and federal sales tax. On a federal level, businesses anywhere in Canada must register to collect and remit GST if they make more than $30,000 per year. Those who make less may voluntarily register. Provincial sales tax, on the other hand, is determined by where the customer lives (this is called the Place of Supply rule). For example, if your customer lives in B.C., you will need to comply with B.C. provincial sales tax rules, even if your business is based in Alberta. For a detailed listing of taxation rules across provinces, visit the Canada Business Network. It’s generally recommended that e-commerce businesses establish themselves in Canada before expanding south of the border. When they do cast a wider net, business owners should be aware that the rules for businesses can be complex and vary from state to state. This is especially true for sales tax, which follows the Place of Supply principle as it does in Canada. Tax rates, sales thresholds, and exemptions can be very different. To make sure you’re charging customers the right amount of sales tax, you may turn to an American e-commerce platform like Shopify, BigCommerce, or Squarespace. Consider making things simpler by expanding only to certain parts of the US, rather than all 50 states. No matter what, seek out expertise stateside – not just accountants for sales tax information, but professionals who understand licensing and importing. You may find contacts or advice through US Small Business Administration, which offers regional support for entrepreneurs throughout the US. Customs brokers are also good resources. Heidi Hoover is one of Business Link's Senior Business Advisors. Heidi believes innovation is what keeps the world spinning and entrepreneurship is innovation at work. Here at Business Link, Heidi is able to fuse her extensive background in small business support programming with her dedication to helping entrepreneurs succeed.